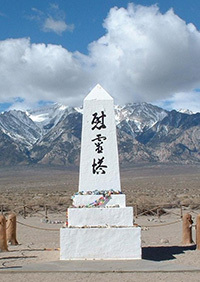 Monument at Manzanar was placed in memory of Japanese-Americans interned there during World War II. All Saints Church Pasadena, in conjunction with The Gathering – a Space for Asian American Spirituality, will sponsor a one-day pilgrimage to the Manzanar National Monument on Saturday, April 27, 11:30 a.m. – 2:30 p.m. (plus travel time), to coincide with the 50th annual remembrance of the incarceration of Japanese Americans at Manzanar during World War II. The pilgrimage will include tours, speakers, and an interfaith service. Participants will learn about the impact of rounding up over 110,000 Americans of Japanese descent and placing them in internment camps, the relevance of this injustice for the world today, and ways to keep it from happening again. It is also a meaningful opportunity to learn about an important aspect of Japanese American culture. 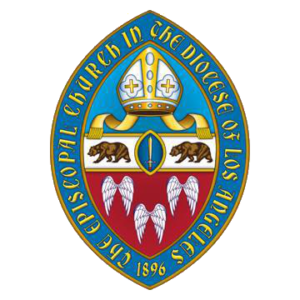 A chartered bus will leave from All Saints, Pasadena at 6:30 a.m. and return by 6:30 p.m. The cost of $70 per person includes transportation, box lunch, snacks and water. Registration and payment are required by April 12. The bus trip may be canceled if there are not enough participants. Additional information and materials regarding the pilgrimage will be available for attendees. To register, contact Ada Ramirez at aramirez@allsaints-pas.org. For additional information, contact Doni Heyn-Lamb (dheynlamb@gmail.com) or Peter Huang (peter.huang@stfrancispalosverdes.org). More information can be found on the Manzanar Committee website here.